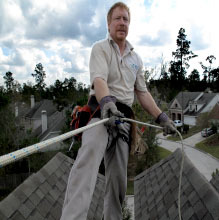 These types of nuisances can cause all kinds of havoc to your home or business. 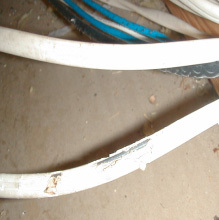 They can damage electrical lines and even cause fires. In addition, they can keep you up all night and use your home for their private bathroom. For this reason, we attack them with precision. We start by doing a through survey of your home or business. A plan will be designed to remove these nuisances and seal the structure. We seal all entry points into the structure, which is the key to success in keeping the problem from reoccurring. Also, correctly sealing a structure takes a great deal of skill and time. We also provide our customers with a one year services agreement that can be renewed yearly . Not all structures can be sealed. Why wait for an unwanted visitor to move in? Let Enviroteam Pest Control prevent it. No job is too big for us. Let us earn your trust with a free evaluation of your home or business. Raccoons, Squirrels, Possums, and Skunks are mechanically removed by live traps. Rodents are removed by snap traps. We try to never use rodent baits, because of the possibility of them dying and creating an odor problem. The old wise tale that they will go outside, looking for water is a falsehood. You will be rolling the dice on whether they will die inside or outside. If the structure has positive air pressure into the living part of the structure, you could have a serious odor problem. Even installing rodent baits outside can lead to dead rodents inside. 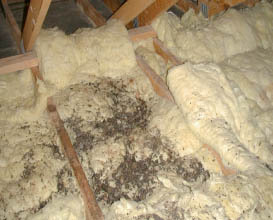 If this problem does occur, EnviroTeam has years of experience in locating the dead animal for removal. 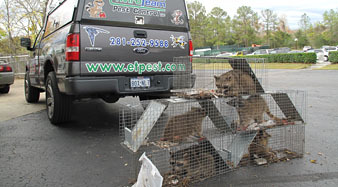 Live trapping inside structures can lead to major problems if not done by a professional. You could end up with a skunk in the attic or property damage. We also do clean up on these types of problems. So when it comes to urban wildlife, please give EnviroTeam Pest Control a chance to provide you with a free evaluation.